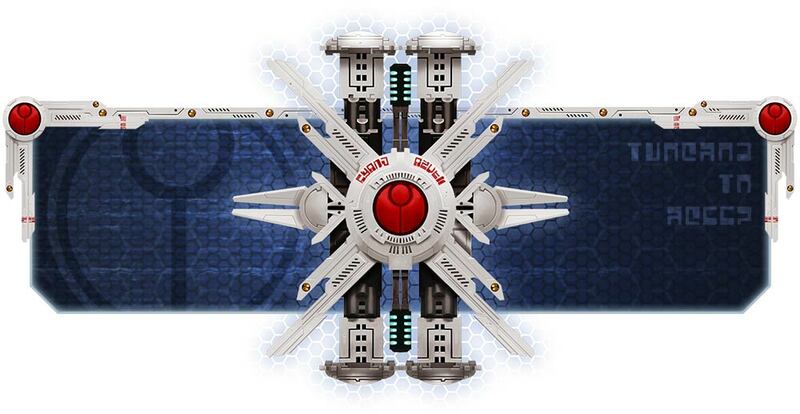 Supreme leader of all of the T’au, most respected and honored of all Ethereals, Aun’Va inspires hope and excellence across the entire T’au empire. 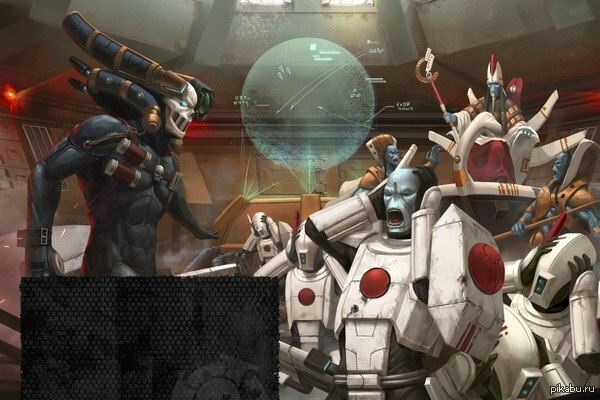 Despite any number of small technicalities (for instance, the fact that he was murdered some time ago by an Imperial assassin during the war for Mu’Gulath Bay), Aun’va and his Honor Guard can be found on T’au battlefields supporting, leading, and enabling T’au soldiers to fight for the Greater Good all across their sector. The Aun’Va model itself does not have any weapons while his Guard each have an Honor Blade (Melee S[+2] AP0 D1). These rules apply to the entire unit, Aun’Va and his Guard. 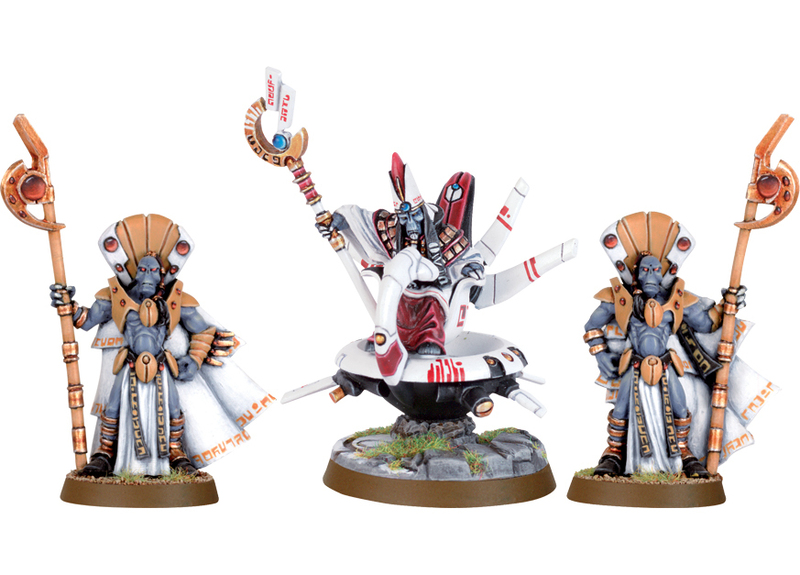 Allows T’au Empire units within 6″ of the Ethereal to use the Ethereal’s leadership (Ld9) instead of their own. Grand Invocation of the Elements, just like a regular Ethereal’s Invocation of the Elements ability, but Aun’Va can invoke two each turn as opposed to one. The Aun’Va unit is a unique unit, of which only one can be included in your army. Due to the fact that Aun’Va is the supreme leader of all the T’au and the T’au sept is where it all began, his unit is locked to that sept. The whole unit is <Infantry> so while they have a larger footprint than the typical 25mm T’au <Infantry> models, it’s still relatively easy to ensure the receive a cover save. That, along with Aun’Va being a <Character> results in a protectable HQ choice that deserves consideration for your Warlord. To that point, Aun’Va’s Warlord Trait is Through Unity Devastation, which is one of the more popular choices for Warlord Traits anyway, due to the fact that it can give units within 6″ of the Aun’Va model an additional point of AP during the Shooting phase on To-Wound rolls of 6+ against a single designated target. This pairs well with mass shots (Strike Teams with Cadre Fireblades, I’m looking at you). Continuing in that vein, Aun’Va complements mass-<Infantry> and mass-model lists quite well due to a number of factors: Through Unity Devastation, Supreme Loyalty, Failure is Not an Option, and Grand Invocation of the Elements. With Aun’Va, you can buff hoards of surrounding Strike Teams (and Cadre Fireblades, which should be considered joined at the hip at this point) with Ld9, rerolling morale tests (don’t forget a morale test of 6 always passes for Strike Teams), potential AP-1, and most probably a 6+++ with rerolling 1’s To-Hit if the Strike Teams remain still. That all results in a durability and strength mass-<Infantry>/model lists love. 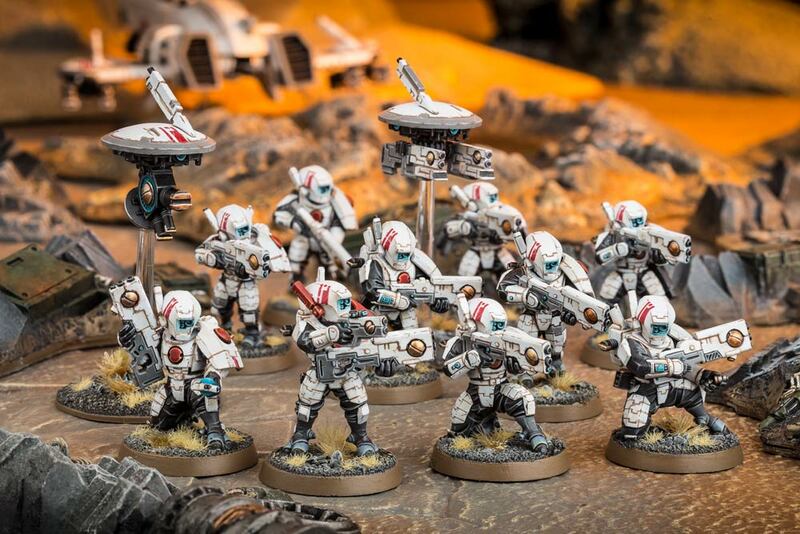 Want to not worry about taking units of 12-model Strike Teams? Aun’Va. Want to take bigger units of drones, who normally only have Ld6? Aun’Va either next to them or even way across the board in order to reroll morale rolls. 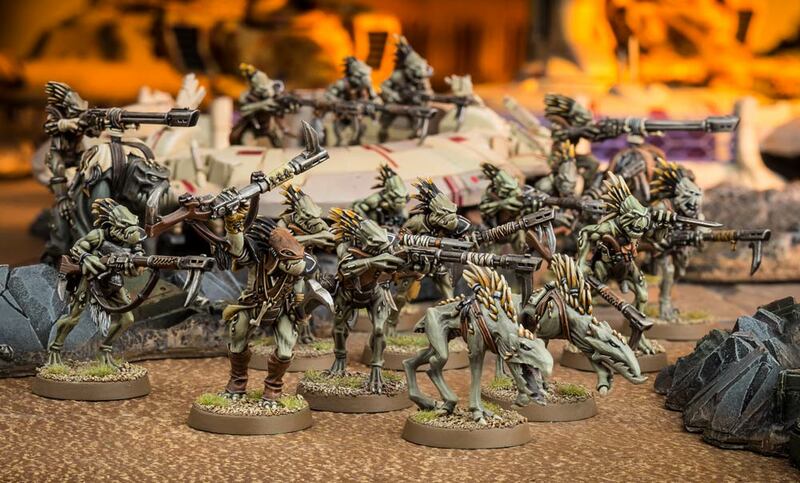 Want to take large units of <Kroot> to screen units? Aun’Va. You get my point. This comes out to about 100 models, which is a lot to chew through. Many of those models can get up to a Sv3+ in cover with a 6+++ on top of that (including both of those Riptides). You’ve got over 100 S5 shots from the Strike Teams alone while at half range, which is astounding considering they’re 7 points per model. You’ll have, on average, 1/6th of those 100+ shots (~20) be AP-1. Furthermore, one of those Strike teams will have To-Wound +1 from Darkstrider. Screening against turn 1 charges is possible thanks to the Kroot. It’s also only around 1700 points so there’s room to add, with of course room and opportunities to make substitutions to the above. List like the above are the exact type of list that Aun’Va excels in. If you wanted to, you could even skew things further towards the Strike Teams and take much more than 36 – if you have more, you can put them to work guilt-free. 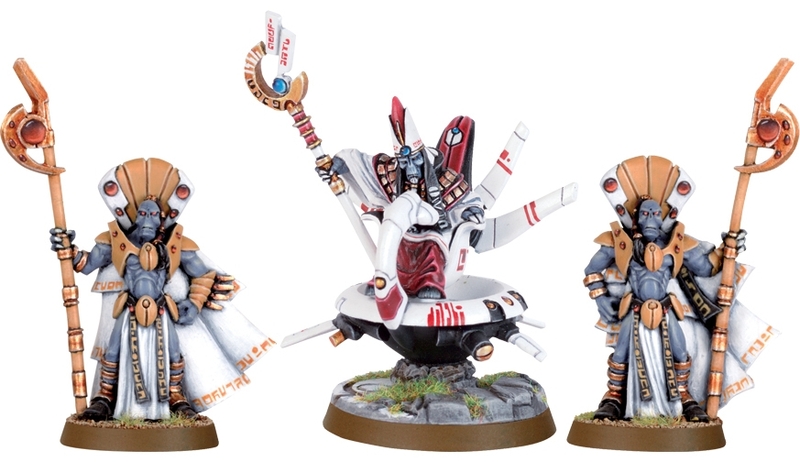 Since everything can wound everything in 8th edition, and the T’au sept has so many ways of buffing To-Hit rolls and a few ways of buffing To-Wound rolls, the argument could be made to run 60+ Strike Team models, buffed by Aun’Va and the many other synergistic T’au characters. Aun’Va really poses no threat of his own. He is your classic example of a support character. For that reason, if you can kill what he’s buffing, you can negate his influence. Easier said that done, since he will typically be surrounded by numerous Strike Teams, Riptides, Shield Drones, etc., which he will be giving a majority of a 6+++ or are naturally difficult to deal with (Riptide has a Sv2+ and Savior Protocols, while Shield Drones have a 4++/5+++). Just like regular ethereals, Aun’Va’s Invocations don’t come into play until his first turn, so by seizing the first turn (somewhat likely against a list that runs Aun’Va due to the mass number of drops that the list could have), you could take advantage of the fact that none of the surrounding units would be buffed yet. You can try and take him out directly, but this is definitely not easy except by all but the most-dedicated character assassins. He’s protected by the <Character> keyword and even if you can target him via shooting with something like snipers, he can always allocate the wounds to his unit onto his bodyguards (two wounds each) first, before himself. Should you carefully position your shooting units (deep striking Scions with Plasma Rifles for example) or take advantage of poor T’au positioning, the Paradox of Duality rule means that any shooting weapons with high AP will actually help Aun’Va’s unit make the save, rather than increase the chance of a failed Save roll. For that reason, if you do try and take him out directly, killing him in the Fight phase is your best best. However, he is T’au sept, so anything within 6″ of him with the For the Greater Good rule will be able to fire Overwatch and hit on 5’s, should you try and charge Aun’Va directly. Overall, Aun’Va is not an easy egg to crack directly due to his direct and indirect durability. Whether or not Aun’Va is actually still alive is not relevant to the fact that he will bring a lot of synergy and buffs to your table, all at under 100 points. He’s a good choice for a Warlord due to his inherent resiliency and his in-game rules decently match his fluff. Aun’Va promotes and supports one of the strongest builds that T’au have at the moment in my opinion, mass Strike Teams, but even when you’re running less than 60 Fire Warriors, you will still find value in his dual Invocations, Leadership buff, and ability to reroll morale results. ~Do you use Aun’Va to lead your T’au sept forces?